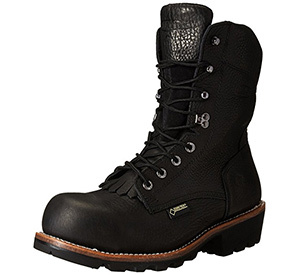 Logger boots are characterized by their superior grip and traction, as well as their high-quality materials. They should allow you comfort and support as you traverse any terrain; whether you’re cutting down trees, splitting wood, or climbing over felled trees. To help you sort through all the options, we’ve compiled a list of the best logger boots for men and women; judged on their function, support, comfort, affordability, and reliability. These boots not only function well, but they look awesome as well. They may not be ideal for extremely cold conditions, but they are waterproof and padded-enough to keep your feet dry and warm in most environments. The sole (and 2-inch/5.1-cm heel) are loaded with thick, dense lugs for conquering any terrain. 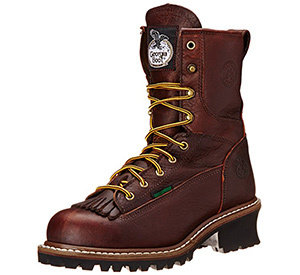 If you’re looking for the best logger boots for women working in the cold, try these Chippewa models out. They are classy yet functional, with a thick, durable sole made for supporting you on uneven surfaces. 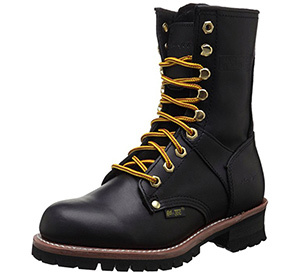 It should come as no surprise that you find a pair of Timberland boots on the list. Though they may be pricey, they come with the reliable, dependable reputation associated with the brand. The Rip Saw boots will get you up and over any obstacle; all while keeping your feet dry and comfortable. These may be the best logger boots for women on a budget, and they won’t disappoint. They are stylish and simple, but have the grip you need for logging, hiking, or climbing. AdTec specializes in affordable, durable work boots for both men and women. Not only do these boots look awesome, but they’ll out-perform most others on the market. They are filled with features that make it extremely durable, long-lasting, and strong. 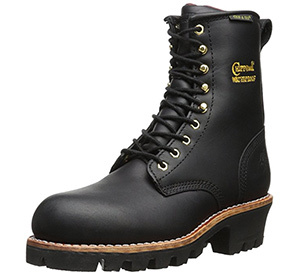 Carolina’s boots also provide superior traction-control and extra-safe lacing systems. 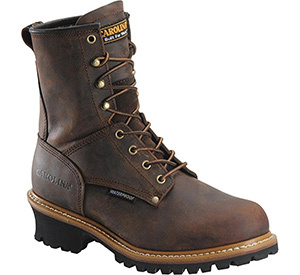 If you’re looking for the best logger boots with the most-classic look for the best price, look no further. These boots are easy to put on and take off, and the giant outsole ensures your feet are protected and support during every movement. Though there’s no extra insulation, the heavy boot is sure to keep your feet dry and comfortable. 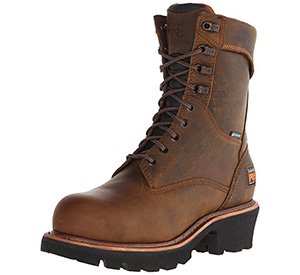 Logger boots must keep your feet safe, protected, and comfortable in the most difficult and harsh conditions. The boots you’ve seen here will have your feet thanking you for years. After reading our list, please let us know: which logger boots will you be trying?